As a 1 person program working solely in the ER, here’s how I’m celebrating! 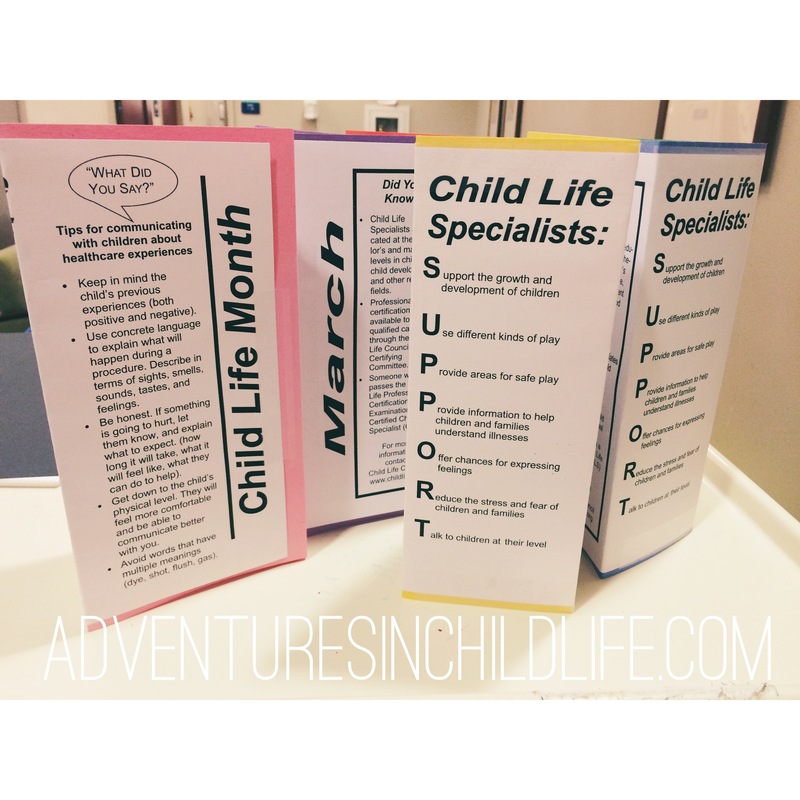 Implementation of a Child Life newsletter for the nurses lounge. A Child Life trivia quiz! Everyone fills out a sheet & returns it to me. I will pick random sheets to “grade” and the first person I pick that gets all the answers correct, wins! A baby photo contest – staff bring in a baby photo and it goes up on our board. First person to guess everyone correctly wins. Child life table teepees for the waiting room. Child life coloring sheets for the waiting room. A Child life “emergency kit” for the doctors lounge. 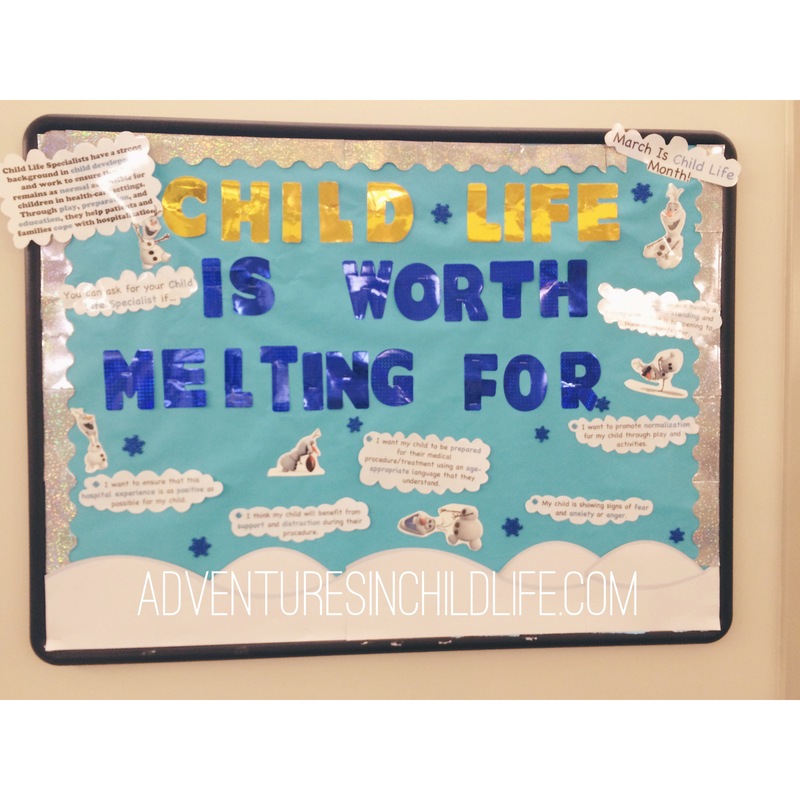 Child life month bulletin board. Guest spot on our PEDS ED monthly newsletter!